There were lots of things I like about his book and some I don't. I understand the appeal and I can only imagine the energy he brings to any presentation he does and maybe it was his high energy brashness that made me hesitate. I'm an introvert. Yes, I do like to be on stage to present to people and I love to teach, but I also know my strengths and I know what makes me uncomfortable. Dave Burgess makes me uncomfortable in good ways, and bad. Let's start with one of the things I don't like. I don't like his over-the-top nature. It made me uncomfortable. I've never seen him, but his boisterousness comes through in his book and it's clear that his style works for him. When he talked about Anthony Robbins, aka Tony Robbins, I understood immediately. In fact, I wrote in the margin, "that explains a lot." I'm not a fan of the Tony Robbins bigger-than-life style; however, I really like his PIRATE acronym and I wanted to give Burgess a fair shake--he's successful for a reason--so I kept reading and thinking. 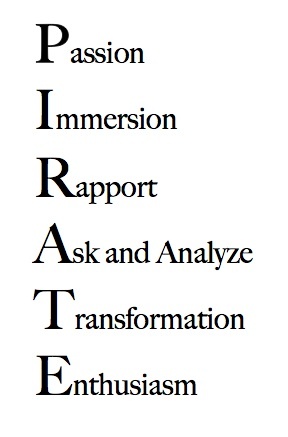 Unless you've managed to ignore it as I have, you're familiar with the PIRATE acronym. Burgess speaks first of PASSION and notes there are three types of passion: content, professional, and personal. Middle school and high school teachers might be able to express content passion more easily because that's what they teach all day every day. Elementary school teachers might find this a bit more challenging because they may teach content for which they have less passion. I remember a 3rd grade teacher telling me she wished she could teach more science because it's her favorite subject, but she felt like she had to spend too much time teaching reading. Huh. Well, that's a different blog post BUT it was an opportunity to talk with her about what I'd now call content passion intersecting professional passion. So she didn't much like teaching reading, but why not use more science picture books and chapter books when teaching reading? She could get her science fix, show her students her content passion for science, and kids would learn how to read and get introduced to science in a different way. Seems obvious, but one of the challenges for teachers is that we develop blinders of sorts and struggle to see opportunity and possibility. Burgess states "[o]n all of those days when you don't have passion for your content, you must consciously make the decision to focus on your professional passion" (p. 6). Absolutely. On those days that teaching something that doesn't move you feels really hard, you must dig deep into professional passion and what drives you to do what you do. (Cross-reference Simon Sinek's Golden Circle and the importance of knowing your "why". You might also watch this amazing video about how why informs what.) 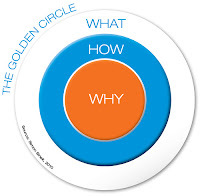 What Sinek is saying is: "When you know your why, your what has more impact." Burgess also notes that our personal passions can drive our professional passion as well as our content passion. We all know those teachers who have interests that support what they teach, some to what might seem like an excessive extreme. But we also know others who have personal passions that can somehow be informed by their content passion or might contribute an idea to their content passion. What's also important about personal passion is what an impact those revelations can have on our students when we allow those bits to creep into our classrooms. Students are often astonished to learn teachers are real people with real lives and real interests outside of the classroom, and even more amazed to learn they might have something in common. With their teacher!! What comes after PASSION? IMMERSION. Students know when we're disconnected in any way. I'd been invited into a 5th grade class to show students how to use a particular tool. I'd asked her what the students were learning and what she wanted them to be able to do with the tool. She gave me answer though I was a bit uneasy, but, well, I dug into my passions and went all in to show these kids this tool and make some connections with what they'd been doing. I glanced over at the teacher in case she had any questions or comments she wanted to make, but she was busy with her phone. She was paying no attention at all. I felt like the message to the kids was this: "I need to catch up on a few things so this person is going to fill some time for me and it doesn't really matter to me if you learn anything from her or not." Now I'm a professional and I felt that slap, but I figured she just gave me an huge opportunity. I figured I'd keep going since she was in no rush to take her class back. I checked the schedule and realized how much time I had and went on with showing them the tool, inviting some ideas how to use, asking them to show me what they could do with whatever they'd be learning, pushed them to ask a few more questions. It took a while for the teacher to realize the kids were having conversations with me and really into whatever it was she'd missed. She stood up suddenly; the surprise registered on her face when she saw the time and what was going on in her room. She clapped her hands because it really was almost time to go to lunch or specials or whatever (I really don't remember) and the oddest hush fell over the room. That thirty minutes spoke volumes about this teacher and her content and professional passions, her level of involvement with her students, and their interest in learning. Immersion is a bit easier once you have established a RAPPORT with your students. Burgess observes that misbehavior is often a result of students being bored, overwhelmed, or having a lack of connection with the material (p. 20). Building a rapport isn't just knowing a student's name. Building a rapport is taking the time to know something about each student. I was lucky when I was teaching freshman writing. Lucky because I enjoyed teaching it and lucky because I had a lot of flexibility in how I could approach it. I hated those "What you did over the summer" essays, and so did the kids. Predictable. Sure, I needed a sample of their writing at the beginning of the semester, but I was going to get junk if they were bored. So I'd ask them to tell me the most interesting thing that never happened to them. Or the most important things they think I need to know about them. When I first started teaching writing, I made the same mistakes as every other writing teacher by asking for a word count or a specific number of pages and making sure they knew to use one-inch margins and a specific font. So dumb. And that was made abundantly clear when I got the requisite two pages from a student with only one sentence on the second page. That's when I started telling kids I didn't care how many words or how many pages though I did care about margins and fonts; no funky fonts that were hard to read. They were to write as much as they thought they needed to write. Here's what so funny about that: the shortest papers were usually about three pages, sometimes more. In other words, I often got more and I usually got better which meant I had better insight into how each student thought and what sorts of things moved them. My point is that I learned a lot about my students from those initial papers. Because of what I learned from them, I was able to have better conversations with them which meant I could offer more specific coaching and mentoring to them because I was talking to each person as an individual. What comes next put me off a bit, but I understand why he did it: he talked about his first three days. Burgess explains how he gives his students the full pirate treatment in those first few days. My thought? "I could never do that." And I couldn't. It would be inauthentic. Burgess isn't asking us to mimic him, though; he is asking us to think about those really important first few days. I want you to think about Day 1 and what you do typically. What kinds of activities? How do you take care of the administrivia of the day? What's most important? What happens on that first day of school sends a message and informs how students experience every subsequent day after that. Again, I remember doing the roll call thing followed by the review of the syllabus thing. So boring. And if I was bored, the kids were comatose. I had to do the roll call to make sure students were in the right classroom. Here's what I did once and wished I'd done again but once I started teaching majors classes and advising, I knew the majority of the students so it wasn't as much fun. But it's easy to forget how many students, whether in middle or high school or college, don't know some of their classmates. So this worked out for them, too. I wrote one name on an index card and just put the index card face down at seats. As kids came in, I welcomed them and asked them to find a seat but not turn over the index card. When it was time for class to start, I asked them to turn over the index card and explained they would probably not see their own name. Their task was to find the person with the name matching their card but every time they met someone whose name didn't match the one on their card, they needed to get at least the first name and one fun fact that didn't have to be related to college. So let's say Eli found Jose but Jose still had to find Nathan, so Eli and Jose went together to find Nathan who was looking for Ashley who was NOT looking for either Eli or Nathan. Oh it was absolute chaos as groups formed, broke, reformed. Eventually I called time. I asked how many had found the name on their cards? A lot had, but not all. I asked how many had learned something interesting about at least one of their classmates. Every hand went up. I'd wandered around and eavesdropped on some conversations. I called names at random for a quick introduction with a fun fact. I had them return to a seat, handed out the syllabus, asked them to read it before the next class, told them to be sure to have a writing utensil with them, and then did a quick roll call. Class dismissed. Your first few days may not be anything like Dave Burgess's or mine. The point is that you set the tone for learning. You establish the framework for the culture of learning in your classroom. You give students some insight into how you see them, how you see your work, how you see learning, and how you see them as learners. So you need to do and be you. Bring on your content, professional, and personal passions so students can see what you do and how you do, with or without a high energy sales pitch or a funky costume or whatever you think you need to do or bring to distinguish yourself from everyone else but mostly to make yourself vulnerable enough to establish a rapport with your students. 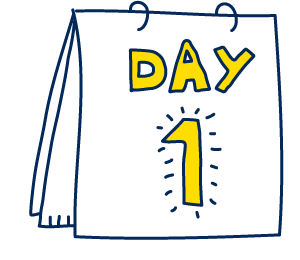 (For a really interesting perspective on Day 1, check out this video of Jeff Bezos answering the question, "What does Day 2 look like?") Jeff Bezos, quite possibly the richest man in the world, once said this: "The outside world can push you into Day 2 if you won’t or can’t embrace powerful trends quickly. If you fight them, you’re probably fighting the future. 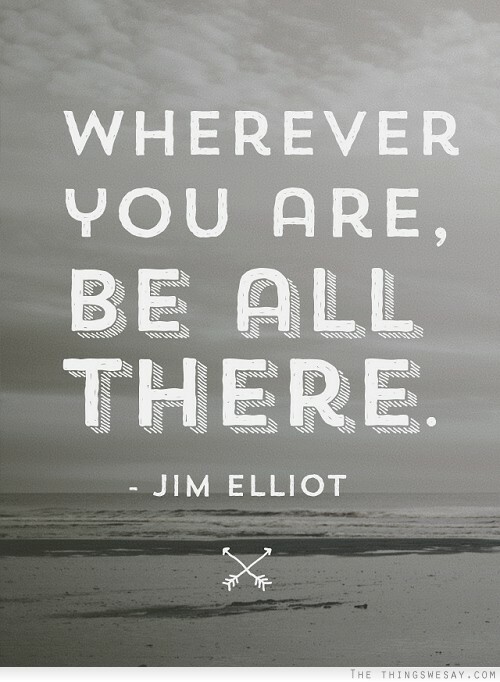 Embrace them and you have a tailwind." I think there is an important part of the Bezos Day 1 philosophy that can apply to our classrooms: it's all new, it's all fresh, it's all ready to discover and examine and determine and figure out. If we can somehow keep that Day 1 excitement and anticipation, at least at some level, just imagine what might happen. ASK AND ANALYZE. That's what comes next. I don't agree with all of his questions, but that's fine. I certainly agree with what he's pushing teachers to think about, which is the kids. Maybe you're not worried about creating a "lesson outrageously entertaining, engaging, and powerful so that [your] students will never forget it and will be desperate to come back for more?" (p. 43). I think his point is this: we need to design lessons that meet students where they are and challenge them in unexpected ways, maybe prod or push or poke them in ways that make them take notice, maybe entice them in ways that encourage them to be willing to try a little harder or engage a little more. We've all talked or worked with teachers who either blame the students for their inability or unwillingness to learn OR fret about keeping their attention and interest. This can be dangerous for a coach, but sometimes I ask teachers if they'd want to be in their class as a student. Burgess says much the same when he asks if students would come to a teacher's class if they didn't have to (p. 58). Once we've ripped off that bandage, let's pour some lemon juice on the wound and ask, "So why wouldn't you want to be in your own class?" They know. They do know and some are willing to admit it, but now there's an opening to tap into content or professional passion because we have to start there. Burgess notes that too many teachers offer up the excuse that they're not very creative or not as creative as he is. Okay, so they're not willing to dress up like a pirate or channel Tony Robbins. I get it. Me neither. But that doesn't mean they're not creative. That's just balderdash. Scott Berkun wrote The Myth of Innovation (2007) to share some insight about that creative burst, that "Eureka!" moment we believe somehow comes from nowhere. He offers a summary of the ten myths of innovation, the most popular of which is that moment of epiphany, that moment of revelation and insight. You may know of the story of Archimedes and his use of the word "Eureka!" when he made a discovery about water displacement. As Berkun notes, such moments of insight are a result of effort. When we have that "Aha!" moment, it's often because we've heard or seen or thought something that was the final piece of the puzzle to something we've been thinking about for some time. For most of us, creative insight comes with some hard work and tinkering, and maybe some perusal of Pinterest. So relax. Think about what your students can do that will help them connect to what you need and want them to learn. Put your brain on "daydream" as you wander through a dollar store or do idle searches in Pinterest. Think about what you know about Omar or Bethany or Amari or Destiny or whoever. Just let kids float through your head. Something will come to you, and it doesn't have to be grandiose or super duper amazing. Sometimes just a simple twist to something you've always done can make a difference in the way students respond to a lesson. So you can't be afraid to ask yourself the hard questions and analyze the answers as well as pay attention to the way which students respond to which parts of your lesson. Burgess speaks next of TRANSFORMATION in context of "position and reframing" as you strive to "transform your class into something irresistible to your students. (p. 60). He refers to some marketing strategies here and how important positioning is for marketers to win new clients and retain existing ones. "Why should our students bother to learn what we are teaching? Why should they bother to give us their attention and active engagement in the first place?" (p. 61). I understand those questions. I asked them when I had to take algebra. We've heard others say that we know something is hard but it will be important for later or for the test; I've said that. And then we wonder why our students don't rise up with all kinds of enthusiasm and beg to learn whatever is hard or "not exactly fun." Two things: Day 1 and connect. As you settle in with your students, you make little mental annotations about every kid. Every day you add to those mental annotations when a student lives up or down to your expectations. 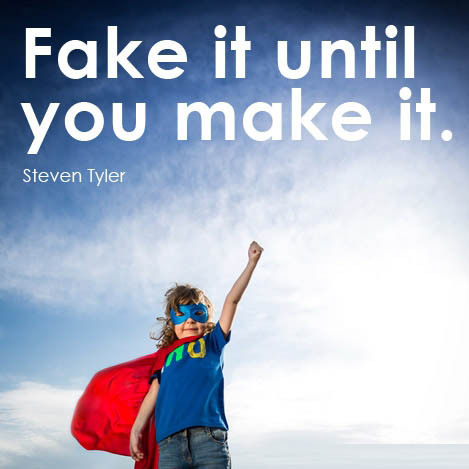 I agree that transformation is often the way you position or frame what you're asking students to do, but transformation is also in your attitude. Those two things? 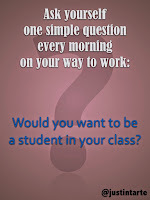 1) Think of every day as a sort of Day 1 as you reset and refresh your expectations and perceptions of students and 2) Think about your students as you design lessons to meet them where they are and help them in their own transformation as learners; help them be able to make connections with their learning from where they are and what they already know. I hear ya. Some things are harder to reframe than others. But you have resources other than Pinterest to help you find options. Maybe you have a trusted colleague or an instructional coach who can help you brainstorm. The reframing doesn't have to be huge; it can be a small change in one small activity. I've learned that multi-digit subtraction is the bane of a 2nd grader's existence. Subtraction is hard to begin with and then they have to do multi-digit subtraction. Yikes! But what if you make it into a game? 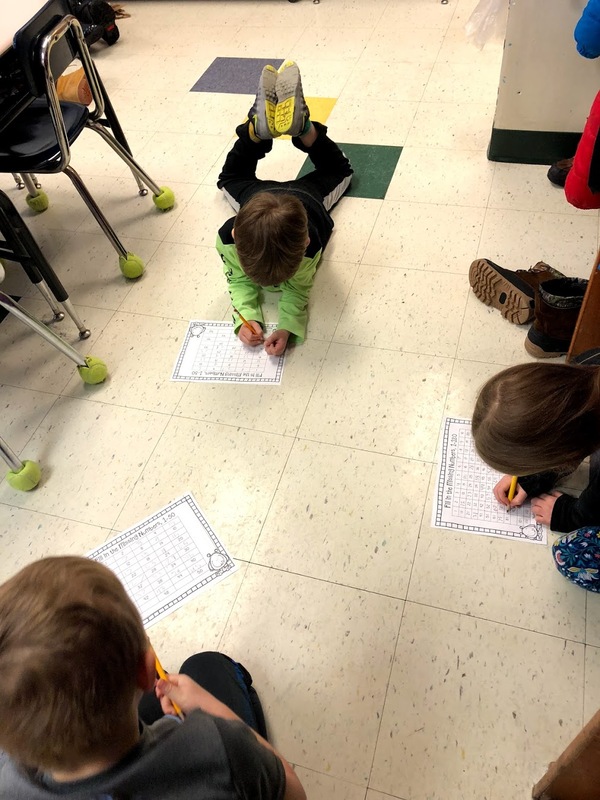 Kids are still working problems and they have to understand regrouping and place value, but their thinking about the problems might be different because it's not a standard worksheet. (I have several ideas for this using BeeBot, so give me a shout if you want some help.) Even if you can't or won't make it into a game, why not offer some choice in what problems they do and how they have to show you they know how to solve them. and what grade level you teach. Burgess speaks of Robbins's notion of "acting as if," which is rooted in some thinking introduced by Aristotle. It has to do with reaching deep within and finding some tiny spark, finding those reserves. And sometimes it means upending everything and doing something completely different. Don't tell your students what you had planned for the day and you're doing something different because you're having a bad day. Let's say you're supposed to teach a lesson in probability and you have some pretty cool activities planned but you're just not feeling it. You read recently that there's an intersection that seems to have an unusual number of accidents and the community is trying to figure out what to do. You can't tell if there is really an unusual number of accidents, but you know the intersection isn't too far from the school. You decide you're going to ask students to do some research about that intersection and you start by asking them to work in pairs to read the article and start coming up with questions they think they need to ask and who they think should be providing answers. After some time, you ask them to square up their pairs and compare their questions and sources to come up with the best questions, then chart them. Buzz ensues. Conversations, even arguments. Then someone asks something like, "How do we know the real number of accidents and the probability of accidents happening?" Boom. Now they're excited to find the answer and all you have to do is guide their learning and ride that wave and then you find you're a little more interested and enthusiastic about this lesson, too. What Burgess doesn't say is that your enthusiasm, fake or real, circles back to your content, professional, and personal passion. Your ENTHUSIASM feeds those PASSIONS which inform your willingness to be IMMERSED which is made easier by the RAPPORT you've established with your students which is deepened when you ASK AND ANALYZE good questions that reflect your ENTHUSIASM that is informed by your PASSION. Well, you get the idea. Maybe you're not going to be a Dave Burgess-like PIRATE because you don't have his extroverted style or way of doing, but you don't have to. 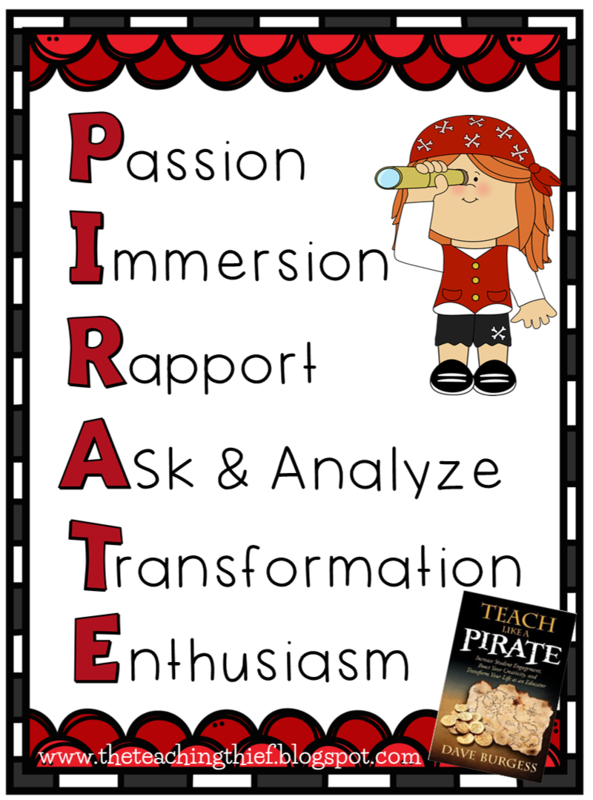 You can be your own kind of pirate because what's really important is that you are willing to take risks and, if I might paraphrase, travel as far as you possibly can for that which you value: your students and their learning (p. xii). Because your why is about your what--what you do every day with those students, and your wanting them to be able to realize their very best selves. So go swash that buckle as much as you dare! 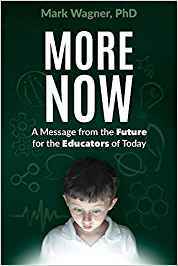 I recently read More Now, A Message from the Future for the Educators of Today by Mark Wagner, Ph.D. It’s a new release, published by EdTechTeam Press; Wagner is the CEO of EdTechTeam. I have to say I was a little disappointed. I’ve always admired the EdTechTeam team; I recognize a number of their names and am familiar with their work and their efforts. Let me clarify: I wasn’t disappointed with a lot of what Dr. Wagner had to say. I think much of it was spot on, but his message from the “future” seemed lacking. His future felt more like the upcoming school year, and maybe that’s the best one can hope to do in these unpredictable times. At the end, however, his future and message felt a little too Borg-like for me. I don’t believe resistance is futile, but I also don’t think resistance is actually necessary. Yet. I hope. Maybe. Technology is growing and changing in ways unfathomable even a few years ago. In the past couple of weeks I’ve read articles highlighting how AI is making a positive difference for talent recruiters and for hiring managers; I’ve also read how AI seems to be a personal and professional horror for job-seekers who don’t know how the algorithms work and who may be overlooked because the algorithm or the interview chatbot didn’t process answers the way a human might. There are many who worry that AI will overlook some quality candidates because AI can’t adjust for certain elements of humanity—AI can’t (yet?) detect insight, humor, savviness, and that often really difficult immeasurable quality of potential. As technology changes work places, it also influences education though the changes are equally erratic and uneven. Students don’t need to learn from us anymore. Learning is post-human. Learning math, learning the capitols [sic], learning all this other stuff, it’s post-human. Computers are going to be able to do it better than we do. They are going to be able to leverage that information, beat us, better than we are at whatever it is. What we’re trying to focus on are those real, human characteristics that we need to push in education: collaboration, communication, creativity, and entrepreneurship. Those are the uniquely human traits that computers, we feel, will never be able to replicate, duplicate, or be better than us in accomplishing. The focus is not learning anymore; it’s on nurturing the human traits that already exist in students. We have to ask, How do we make sure those things flourish, grow, and become strong? Because those are the only things they are going to have thirty years from now (p. 147). Where to begin? Well, I have any issue with using “anymore” instead of “any more,” but that’s a small quibble though someone should have made sure he used “capital” instead of “capitol.” I will not minimize correct grammar and mechanics, but, in this case, those are not my major concerns. Um, who programs those computers that are going to leverage information and beat us at whatever we’re trying to do? And if they’re going to beat us at whatever we’re trying to do, then what value are those uniquely human traits of collaboration, communication, creativity, and entrepreneurship, an interesting deviation from the usual 4Cs of collaboration, communication, creativity, and critical thinking? I suppose that could mean humans would be free to be more creative and entrepreneurial about what computers might be able to do. . .to beat us whatever the next thing is that we're trying to do. Your job, as an expert in knowledge and information, is about to be replaced by robots. You should not be afraid of that. Instead of being a source for knowledge and information, you should be a source of the kinds of things that human can only get from humans: friendship, mentorship, guidance, empathy, and what it takes to actually work together. Your job, as a teacher, should be more like a mentor, a community leader, a mediator, an arbiter, potentially an exemplar of the whole person. Your job will become more like being a coach-therapist-mentor, but that’s still a form of education. You’re just educating certain facets of humanity that are the hardest for robots to replicate (p. 153). Yes, robots will be able to gather and retain zillions more bits of information than I ever will or will ever want to. And, in time, robots may be able to sift through those zillions of bits of information to construct knowledge, which is a theoretical and practical understanding of something that requires more than just bits of information. But computers do not yet have knowledge; they have information. As algorithms are built and AI is developed, AI will be more adept at sifting through bits of information to make logical connections, but AI (as yet) does not have the very human capacity of reason nor can AI or robots construct what we know as knowledge. Does Alexa know what type of music I prefer to listen to first thing in the morning? No, she doesn't know. But the algorithms could check to see what I listen to most often in the morning and report that as my preference. Of course, the algorithms don't know if that's really my preference or if that's what I've been listening to because there were specific reasons I chose that music. Do robots know how to do particular tasks? No, robots are mechanical devices with circuits, sensors, and programmable elements. A robot does what it is programmed to do; a robot follows a sequence of commands. Period. It does not question if that command makes sense because it does not have reason. So I’m thinking about a group of 3rd graders who worked on a habitat project. They each chose an animal and were supposed to be doing research to answer some specific questions about their chosen critter. iPads in hand, students routinely asked Siri. Now Siri is not (yet) a hugely sophisticated AI system and mostly she sent them to web sites they had to read, much to their dismay, frustration, and irritation. They just wanted the answer. They didn’t want to understand anything about this animal or its habitat. I got that. Too often this habitat project is part of the curriculum checklist and doesn’t seem to be part of much else so it’s not like they’re really learning about the desert or the savannah or anything else. Animal duly “researched” and little habitat model duly created in empty pizza boxes with construction paper, cotton balls, and other assorted stuff. Admittedly, some of the habitats were really creative and some kids really got into the design of their habitats and then wanted to better understand their animals so went back to the computer to gather more information so they could put more bits of information together to expand their knowledge and their understanding. Silly children. That’s so post-human. I mean, why in the world would we want kids to know how to learn? Or get at all interested or excited in knowing how to learn? How to solve problems and puzzles when computers and robots are going to do that for us? Fast Company recently published an article about Siri, Apple's voice assistant and some of its next features. If you read through that article and you're a Siri fan, try not to be distracted by the features because what I'd like you to notice is how many other functions and apps it mentions. Here's the deal: we've been using smartphones for over a decade now and we've become accustomed to what apps can do for us. We've been accustomed to the working in the cloud. We've become accustomed to what car systems can do for us. Driverless cars? Who would have thought that possible even five years ago? We also know what we wished certain apps would do for us because of the way we think. Others have different ideas of the way they wished those same apps would work for them because of the way they think. My point is this: we cannot confuse knowledge with information. We cannot diminish what humans are able to do with the power of learning, with the unique capabilities we have for making unusual and unexpected connections with the paltry bits of information our little brains can manage to process. So yes, we let the computers and the robots do the heavy lifting of processing information, but it's likely that, for a time yet, the actual creative process of producing knowledge will remain a human task. What’s also interesting to me is the Simon Sinek interview making the social media rounds in which he and Jim Kwik talk about how smartphones are making us stupid and about “digital dementia,” which is not a new phenomenon. I think about how often I use my phone to look up something and I remember those students who don’t know how to frame a question to get an answer because they haven’t learned how to do research. Because I’m old, I remember sitting on the floor of my mother’s sewing room/”office” because the encyclopedias were on the bottom shelf of the bookcase in there. I was so excited when those beautiful Encyclopedia Britannica boxes showed up, and I’d sit on the floor to do research for school and get distracted and follow different articles to different things until I had to pause to try to remember what I was looking for in the first place. I still get lost doing research on the internet. Anyway, I know that I learned how to do research. And I learned how to learn. And I know that one of the distinctly human qualities many of us have is to find connections between apparently disparate things. I’m not sure robots can do that yet, or if they ever will be able to do that. I agree that there are some things it may not be necessary for me to learn because a computer can do it for me or get the straight-up answer for me. People disparage the practice of teaching kids state capitals and maybe it’s not one of the most important things; however, in the process of learning their capitals they might also learn how to read a map and learn how to find different states in their own country. And then they might learn something about topography and geography which might also lead to learning something about geology, transportation, history, agriculture, weather, immigration, and more. As a result of learning this messy compendium of stuff, students learn how to make connections between things in the present, between things in the present and the past, and they can begin to think about what could happen in the future. I heard you ask why in the world kids would need to learn how to read a map when they have Google Maps and GPS. It's an on-going argument/discussion. I use GPS all the time when I travel. Some months ago I was going to the same city pretty much bimonthly and I suddenly realized I could not get to the hotel from the airport without GPS because I never paid attention to direction or where I was or landmarks or anything. Then I wondered what would happen if the satellites went down or lost connection (let’s not be too catastrophic) or my phone had no more juice and I forgot my charger. So I stopped using GPS as much until I could find my way without it. And guess what? I discovered a lot about the area in which I was working because I was finally paying attention! Come the apocalypse, the kids who know how to use an actual compass and a map are going to beat the zombies. Just sayin’. I don’t want students to be docile recipients of information, even with those distinctly human qualities of collaboration, communication, creativity, critical thinking, and entrepreneurship. . .and cultural awareness. That’s almost like the old factory model of kids being vessels that teachers fill with information so they can spew it out on a test. Only this time the robots are giving students information. I want students to be architects of knowledge. I want them to have some proficiency with skills that they can wield as they take in that information, from wherever and however they get it. I want them to continue to learn how to learn and figure out how to use their bits of information as they are collaborating and communicating and being creative through critical thinking, cultural awareness, and entrepreneurship. I think teachers will still be a source of knowledge because they will be a source of experience about how they used information to craft something, to figure out something, to solve something, to become. I’ve been trying to imagine being in a situation in which I never have to do research again, but I can’t. Even if I ask Alexa or Siri for some information, that information might lead to other questions. I have to figure out which questions are more important. That’s learning. 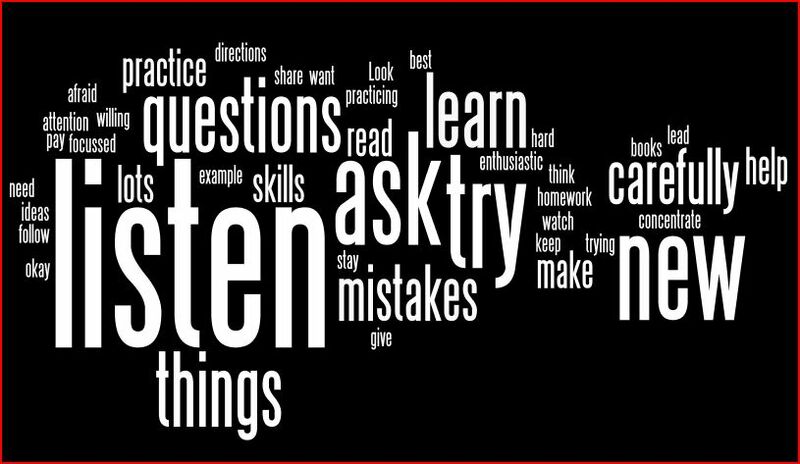 Learning is realizing that the first answer given by the robot or computer may not be the only answer or even the best answer. Maybe the question wasn’t phrased correctly. Or maybe the question wasn’t the right question because the questioner didn’t have enough information or the right information. Discernment. Knowledge. These are human qualities. I actually love getting lost in information. It is a quirky fault of mine. I can start looking up something and, like many, I end up with a few dozen tabs open because I find I have several trails I need or want to follow. Because I have knowledge—stuff I’ve learned over time because of experience and because of the things I’ve figured out or bits of information I’ve combined—I can often discern when one trail has fizzled out or isn’t worth following. That’s part of learning. I may be reading Dr. Wagner incorrectly, I give you that. But I have to say that I reject that learning is post-human. I think that learning is one of the most brilliant of human qualities. Do teachers have to be the sole purveyors of information? No, no, and no. In fact, most of the really great teachers I know point students to the computer and say, “Let’s look it up.” Why? Because they know that the process of research, of figuring out what’s relevant and why are some of the most important skills students can ever learn. Will robots be able to do that eventually? I suppose it’s possible. But that will have to be a highly personalized robot that can discern what’s important to me about those combined bits of information in that situation at that moment. Until then, yes, teachers you will need to be coaches and mentors, just as you’ve been for years. You will need to be an arbiter—is this robot answer better than this robot answer?—and help students learn how to collaborate, communicate with each other, be creative, and be critical thinkers who are culturally and globally aware and might be entrepreneurs. 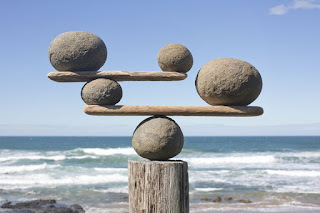 As I contemplate Dr. Wagner’s book and the video of Simon Sinek and Jim Kwik, I say we have to strive for balance. Yes, technology will continue to change how we learn and it could change it faster than we ever imagined. At the same time, we cannot simply yield to technology and let it make us stupid and victims of digital dementia. Educators have to continue to teach students to learn how to learn, and that may be more imperative now than ever. 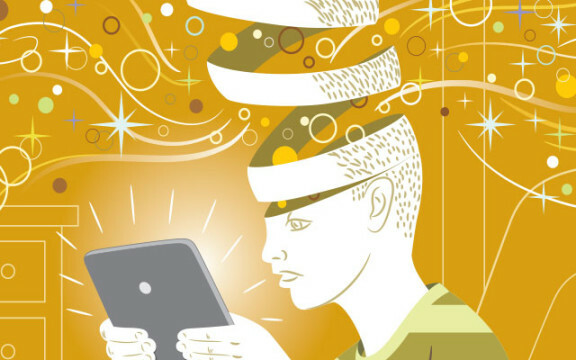 Digital Dementia: Video games improve attention, but is there also a link with dementia? 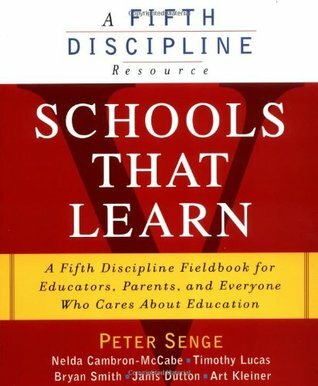 In the early 2000s, one of the most talked about books was Schools That Learn: A Fifth Discipline Fieldbook for Educators, Parents, and Everyone Who Cares About Education. Peter Senge and his colleagues upended, challenged, and reinforced a lot of thinking about schools. They published an updated version is 2012; I refer to the initial version published in 2000. Challenging traditional thinking wasn't a new conversation for Peter Senge. 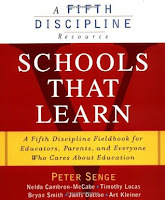 ASCD published an interview with Peter Senge in 1995, prompted by the first book, The Fifth Discipline: The Art and Practice of Learning (1990). Definitely not. A learning organization is an organization in which people at all levels are, collectively, continually enhancing their capacity to create things they really want to create. And most of the educators I talk with don't feel like they're doing this. Most teachers feel oppressed trying to conform to all kinds of rules, goals and objectives, many of which they don't believe in. Teachers don't work together; there's very little sense of collective learning going on in most schools. By the way, I also disagree with your assumption that schools are institutions of learning for students. We say school is about learning, but by and large schooling has traditionally been about people memorizing a lot of stuff that they don't really care too much about, and the whole approach is quite fragmented. Really deep learning is a process that inevitably is driven by the learner, not by someone else. And it always involves moving back and forth between a domain of thinking and a domain of action. 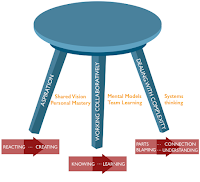 So having a student sit passively taking in information is hardly a very good model for learning; it's just what we're used to (emphasis mine). The process always involves two dimensions. One is creating a reflective environment and a degree of safety where individuals can rediscover what they really care about. And the second dimension is to bring those people together in such a way that their individual visions can start to interact. We communicate our individual visions to one another and eventually start to create a field of shared meaning—where there really is a deep level of trust and mutual understanding— and we gradually begin to build a shared vision. Actually having shared visions exist is so profoundly different from writing a vision statement that it's really night and day. It takes a long time, and it's a process that involves a lot of reflection and a great deal of listening and mutual understanding. It always involves those two dimensions. I could mention Knoster's Change Model and how that framework should probably be a part of the process. I could talk about vision as an investment of time and reflection and effort rather than a one-and-done process of writing a vision statement that is then ignored until the next iteration. I could spend some time talking about the five disciplines themselves, some of which will look familiar conceptually even if we use different terminology in some instances: personal mastery, shared vision, mental models, team learning, and systems thinking. But there is a LOT of information in the book, so I'll just give you a quick overview. Personal mastery "is the practice of articulating a coherent image of your personal vision--the results you most want to create in your life--alongside a realistic assessment of the current reality of your life" (p. 7). Thinking as a teacher: what is your personal vision for what you most want to create in your classroom? Using the change model elements to help with the assessment: What skills do you have? What resources do you have? What do you need? What are you likely to be able to get? What aren't you likely to be able to get and why not? What can you do, if anything, to mitigate what you think you lack? What can you do to optimize what you have and can get? How will you make use of what you have and can get to pursue your vision for your classroom? 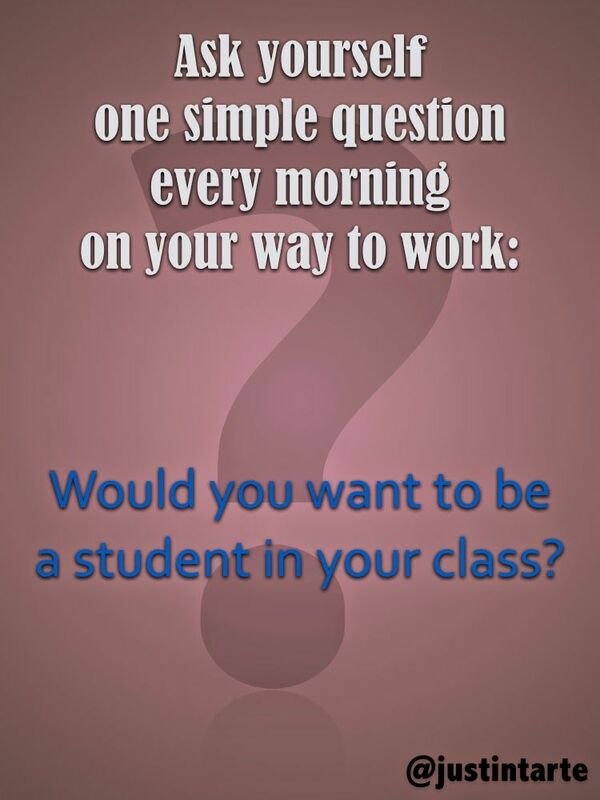 An administrator at the school and district level can and should ask similar questions, especially in preparation for the second discipline. Shared vision "establishes a focus on mutual purpose. People with a common purpose. . .can learn to nourish a sense of commitment in a group or organization by developing shared images of the future they seek to create and the principles and guiding practices by which they hope to get there" (p. 7). Imagine, if you will, a school team getting together well before school starts and being bold enough, feeling safe enough, to post their images of the future and their principles and guiding practices. Each person fills a piece of chart paper with their thinking, knowing there will be no judgment. Then small teams, let's say grade level teams, consolidate their individual visions, principles, and guiding practices to one that represents the grade. 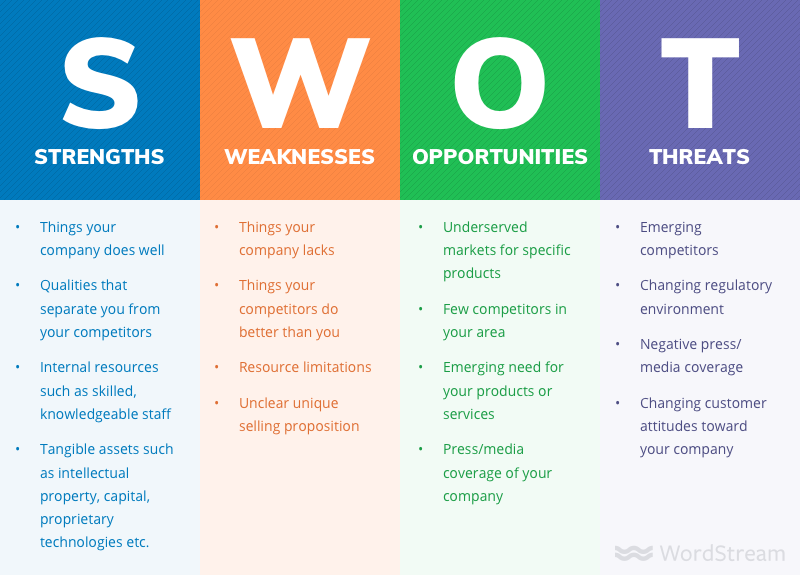 On a piece of chart paper next to their combined grade-level vision, they list their non-negotiables and why, and they also assess the weaknesses of their vision; maybe a SWOT variation. Then each grade-level team spends time looking at the grade-level vision for the grade that immediately precedes theirs and the one that immediately follows. They might even take a peek at the individual charts to see what informed the grade-level chart. (For some schools, this might require some imagination. High schools might go the route of content areas though I'd discourage that kind of exclusivity so 12th grade teachers might actively speculate what such a chart might look like for first-year college educators). They note the non-negotiables and the reasons; they reflect on the weaknesses. They do not make notes on another grade-level chart, but they take their thinking back to their own. What have those other teachers told them about learning and their vision for learning? Maybe then they make revisions to their charts but they also start to articulate something concrete, which leads me to the third discipline. The fourth model is team learning, "a discipline of group interaction" and the fifth model is systems thinking in which "people learn to better understand interdependency and change and thereby are able to deal more effectively with the forces that shape the consequences of their actions" (p. 7-8). Senge et al. give readers a LOT of information, but no clear roadmap. I remember having a conversation with educators about how organically a PBL project can evolve and one teacher kept asking for a step-by-step list for how to develop a PBL project. So, yes, some educators will be frustrated that there is no specific set of steps to becoming a learning organization. The Fifth Discpline began as a way of thinking about businesses as learning organizations and, to that end, there were lots of articles published that tried to point the way to becoming a learning organization. One of them is 6 Ways To Build a Culture of Learning (2014), which is as good an example as any of such articles. The writer makes an interesting statement in his closing paragraph: "Perpetual learning allows you to understand not just the topic at hand, but also the interconnections of other issues that may have gone unnoticed otherwise. At the end of the day, people are the defining element of success—or failure—for an organization. . . ."
In my opinion, a culture of learning means that everyone in the building is a perpetual learner. Everyone. Let's go back to that personal mastery. 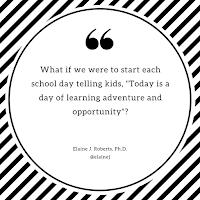 My hope is that most teachers would include in their vision a classroom that itself is a culture of learning with a group of students who, for the most part, embrace the opportunity to learn. Terry Heick presents some ideas for promoting a culture of learning for students. Realistically, all students won't embrace the opportunity to learn, with or without GRR, so that means the teacher might be able to provide pathways for learning opportunities---hmmm, personalization, if you will--for most of the students while facilitating learning differently for students who struggle or haven't yet found their learning chops. But oh what big changes it might mean to how teachers are able and allowed to manage their classrooms, and that means administrators at the school and district level might have to be willing and able to relinquish some oversight and control. It's a different sort of gradual release of responsibility. How does a school create and sustain a culture of learning? Step one: Be realistic and encourage teachers to start in their classrooms. I'd invite them to go through a process similar to what I outlined above for personal mastery and shared vision. Administrators will have to give teachers permission to be bold and honest, and will have to refrain from anything other than encouragement; they will find their levels of reality and possibility. Some grade levels will be willing to do more; let them. 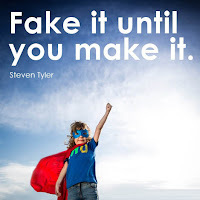 Don't expect everyone to be willing and able to move at the same pace--our students don't so why should we expect anything different from teachers? Leave the reluctant (or laggards or fundamentalists; Dr. Anthony Muhammad's interview on four types) alone. Just let them be. They're watching. They're waiting to see what happens. Sure, they probably have a reservoir of excuses and reasons not to change, and that's the way it is though I think it's possible some of those folks can be coaxed into change when they see what the risks and the rewards really are. Once the school year starts, I think administrators should check in periodically and encourage those teachers or grade-level teams to continue to refine their thinking, to push the boundaries of what a culture of learning could be in their classrooms. At the same time, the administrator may have to be the voice of reason and reality, so may have to push back on some things, but that should be a conversation, a negotiation of what can be done. We can learn from the negative , especially when we are forced to reconsider something and think about a different way to accomplish something OR decide how important it is right now and if it's something that can be deferred. Perpetual learning. It's a phrase I really like. I'd also imagine teams get together periodically to review their charts and their SWOT variation. They make notes about what's working and what isn't. Maybe they scribble questions in the margins. Those charts become working documents for them. Nothing fancy or formal because the moment there's a committee or task force with documents and sheets, everything becomes about the process rather than whatever you're trying to accomplish and then it requires formal meetings and becomes, well, a task. Keep it messy at first; although, if you've got that teacher who has to recreate the chart so it's tidier, well, go ahead and let her do that, but leave it on chart paper and tape some sticky notes to it just to keep it real. And people should feel they can add sticky notes whenever questions occur to them or to note real-time changes for their classrooms whenever it makes sense. By the way, the reason I encourage the chart paper is because that visual is powerful. It's culture of learning sketchnoting. Then I imagine teams getting together to reflect on their reflections, the changes they made real-time and why and how/if those worked or not. Then they revisit their personal mastery visions and discuss where they are with their shared vision to chart what they want to see happen the next year based on what they've learned and are learning. NOW you can start formalizing some stuff with a shared document. Whatever you do, though, you have to be able to encourage perpetual learning. Now here's the other thing. Many of us want CHANGE now. If we know we have to overhaul something, let's rip off the bandage and do the change. The idea of one little change then another little change makes us slightly deranged. But let's be realistic that sometimes the best we can do is one little change. I learned this from programming a long time ago. When I got a bunch of errors in code, I could try to fix all of the errors as individual errors. But if I "fixed" all of those individual errors, I might create more because I might not see how one error cascades to another. But, if I fixed one thing at a time, I might resolve several subsequent errors. I think that's true of a culture of learning in a classroom and in a school or district. My personal approach would be to make a list of everything I want to change. I would figure out the stuff that's easy to fix, maybe even mostly cosmetic and get those done. (Achieve is one of my StrengthsFinder strengths, so I LOVE to cross stuff on my list!) Yep, I feel better already. Then I would identify the thing in my personal vision that will have the most positive impact on the majority of my students (or classrooms or buildings). I would do that next and make sure I allow enough time to see if there are any unintended consequences, for good or ill. That part is tricky because we want to move on to the next thing and often do so too quickly; there is no magic formula. And so it goes, item by item, allowing enough time to see if there are any negative ripple effects between the last thing and the current thing. Now what are these things? It depends. Maybe one of the things I want to do is implement more time for stations in my classroom or maybe I just want to introduce stations. Maybe another one of the things I want to do is figure out how to implement Genius Hour. So maybe I first introduce stations and when we're all comfortable with that, I introduce a Genius Hour station: that's the station where kids can pursue whatever they want. Oh wait, didn't I learn something about student voice and choice in some PD thingy last year? Huh. Maybe I should revisit my notes and see how that applies to what I'm trying to do with stations so maybe I can improve what I'm doing and how. See? I'm learning as a teacher and I'm encouraging ways of learning for my students. Every time I introduce something new in my classroom, I could talk about what I've learned and why we're doing what we're doing. In that way, perhaps I'm also teaching them that learning is powerful; perhaps I'm also teaching them how to learn. I think a lot of teachers already have substantial elements of a culture of learning in their classrooms. And I think a lot of teachers imagine they are constrained by school and district mandates, initiatives, or the perception of same. I believe the teachers who are perpetual learners have no choice but to have a culture of learning in their classrooms because on-going learning is what their vision of personal mastery is all about, and they will find ways to share that passion for learning with their students. Let's talk about teacher quality. When you read that term, you are likely thinking about how good a teacher is at what she does. After all, when we talk about quality, we are talking about. . . interesting. This was a bit of a struggle for me because I usually think of quality in terms of specific items, but I might also think of quality in terms of character--"He's a quality person." 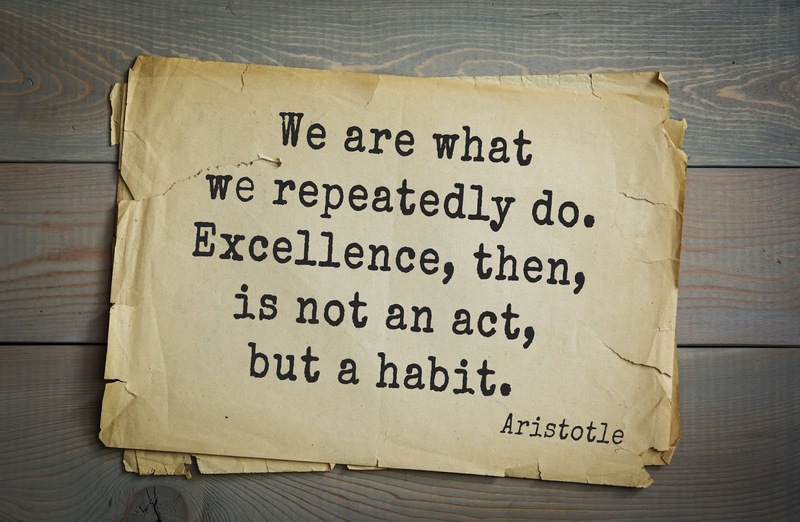 So we often use "quality" when we might mean "excellence." How do we improve teacher excellence? Or, perhaps a better way of asking is this: "How do we provide resources so our teachers can become their most excellent?" Between 2008 and 2015, the nation saw a burst of policy changes around educator quality. Nationwide, states, including Illinois, overhauled teacher evaluations, tenure and dismissal rules. They crafted plans to ensure that underserved students do not get a disproportionate share of unqualified teachers. And they raised the bar to get into teaching. Since then, educator quality has fallen off the table as a top policy issue. That’s a shame because research shows that teacher effectiveness is the primary in-school driver of student outcomes. It also shows that low-income students and students of color are least likely to have top-notch teachers. "Educator quality." "Teacher effectiveness." "Top-notch teachers." Just hold on to those phrases for a moment. Now I have to say when I saw the title of her article, I was thinking about professional learning, mentoring, coaching, etc. I was thinking about ways to improve the quality, the capabilities of a teacher. 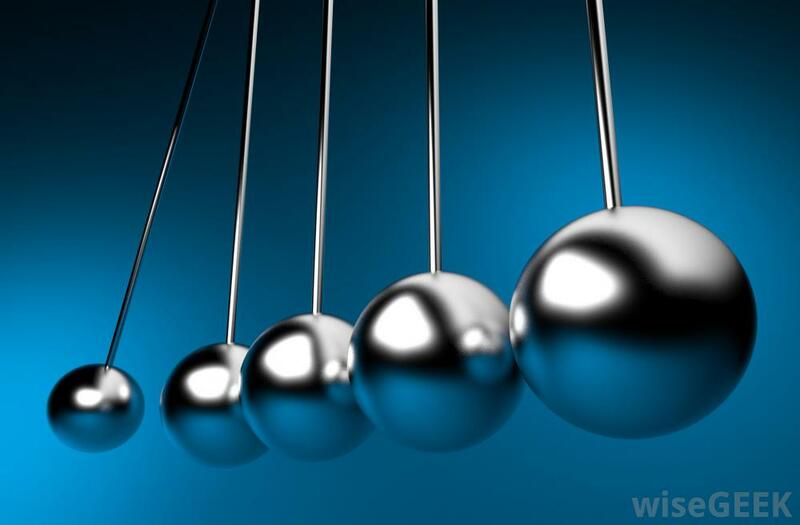 I was thinking of ways to help educators tap into what drives them, what moves them to teach. I was thinking of ways career changers can build on their passion for learning and doing to seek out better ways to encourage and engage kids. I was thinking that sometimes we start with someone who has the drive and the will but lacks some skills or some strategies and might just need some coaching to improve. I was thinking that sometimes we have teachers who have worked in difficult situations who are just tired and struggle to be creative and inventive because the kids don't care about learning and their parents care less, but that's less about quality and more about support, encouragement, and seeing how we can help them change a school culture. I've been to some low-performing schools and the ones who are working so hard to change the ways their kids see school are the ones who are working at changing a whole community culture. Those teachers may not be great, but most of them are working hard and they are quality teachers in difficult situations. And here's what I've also noted, most of them would love to improve if there were means, but all of their energy is focused elsewhere and, as some of them recognize, they have fallen into the habit of just blaming the environment for not being able to do more or better. Launch a statewide campaign — with teachers as ambassadors — to draw young people, especially those of color, into teaching. Incentivize higher education and K-12 to work together to create pathways that let aspiring teachers earn college credits in high school, then move into postsecondary teacher preparation programs. Provide incentives for teacher training programs and school districts to work together to align supply and demand, and also make it more rooted in K-12 classroom practice. Provide more time in the school day for teachers and principals to plan and collaborate. Create career ladders that let teachers take on leadership roles for extra pay. Okay, so, yes, we have to get more folks in the pipeline to become teachers, whether traditional college-aged kids or career changers. But there's more to it than incentives and higher pay, though higher and extra pay would be very good things. Let me take a brief digression because I did a little research on past initiatives for improving teacher quality and let's get one thing straight: the assumption is that it's about the individual who is the teacher or who is becoming the teacher. That is, the standards aren't high enough, the practica aren't rigorous enough, the standards for evaluation aren't substantial enough. Some of that is true and I'm resisting the temptation to climb up on my soapbox about how teacher preparation in many colleges and universities seems to be laughably and abysmally out of date. By improving teacher quality, they will naturally improve student learning outcomes. Improved input equals improved output. This is an essential component of school success. Continuous growth and improvement are necessary. There are many ways that a school leader can improve teacher quality within their building. Here, we examine seven ways that a school leader can help individual teachers grow and improve. Wow. It's that simple? Improved input means improved output. Balderdash. But then I decided to look at the seven ways a school leader can help a teacher grow and improve. First up is meaningful evaluations, which should then lead to constructive feedback/suggestions. The third way is meaningful professional development followed by adequate resources, providing a mentor, ongoing and open communication, and encouraging journaling and reflection. Okay, this is pretty standard stuff. Nice generalizations without many specifics. The author of "Teacher Quality Matters" (2017) notes many of the same things and includes a pathway for a teacher to become effective. See? Easy peasy. If only teachers had more effective and targeted professional development. If only teachers had mentors. If only teachers had better evaluations with constructive feedback. If only teachers were more reflective. If only teachers had better training before they became teachers. If only teachers knew how to use technology more effectively. What do you notice? This is all about the teachers. As though we have this massive situation and have to fix the teachers. If only we had better teachers we would have better test scores? What about the parents of the students? What about the culture of the school? What about the training and preparation and capabilities and time availability of the mentors? of the coaches? What about how the mentors and coaches are being asked to multiple other responsibilities or have too many teachers for which they are responsible to do well by anything or anyone? Here's what I've noticed in reading some of the work on teacher quality, even that by The Shanker Institute, "What Happened to Teacher Quality?". The focus is on test scores. If teachers were better teachers, test scores would go up. And that is so messed up if that's what we really think learning is all about. It wasn't just Marzano that helped develop this skewed focus of student learning. In spite of all our conversations about student-centered learning, personalized learning, makerspaces, growth mindset, and more, teachers often complain about the pressure to improve test scores. As an instructional coach working in school districts in different parts of the country, mostly Title I schools, I hear this all the time. "I'd love to do that, but. . .". "Yes, well, but our district expects. . .". And then I hear about the state tests, the benchmarks, the national tests, etc. Teachers cannot help but focus on the tests. But I also get to work with the teachers who have figured out that if they meet their students where they are, if they find ways to encourage the curiosity of their students, if they give their kids choices so they develop the skills and knowledge they need, then those kids are going to do fine on their standardized tests and, by the way, they're going to learn. They are willing to push the limits because they want to do what's best for their kids. They don't find excuses. They recognize they may get reprimanded for stuff like not having "I can" statements that perfectly match the ones of their colleague's walls or for having a classroom that seems a little chaotic. 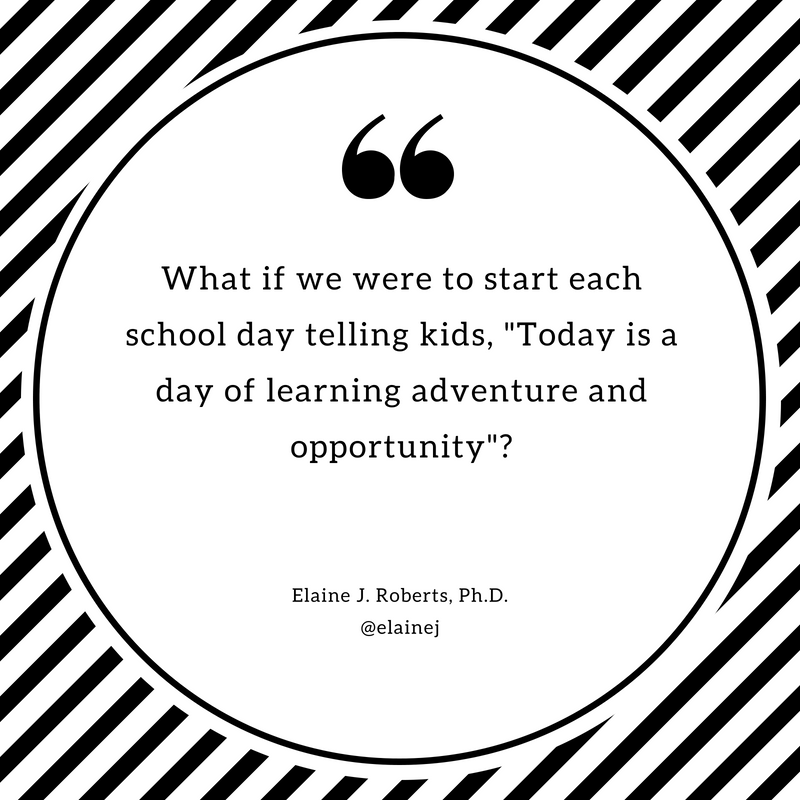 But when administrators pay closer attention to what kids are doing and how they can respond to the question "What are you doing today? ", and when administrators focus as much on the students and their learning as the teachers and their teaching, then they see there may be better ways than test scores to recognize teacher quality. When I think about a quality teacher, I think of those who are effective in their classrooms and I know exactly what I mean by that. They have figured out how to tap into their passion for learning and doing. They search Pinterest and other resources for ideas as they think about individual students in their classrooms and what will best enable those students to learn what they need to learn. 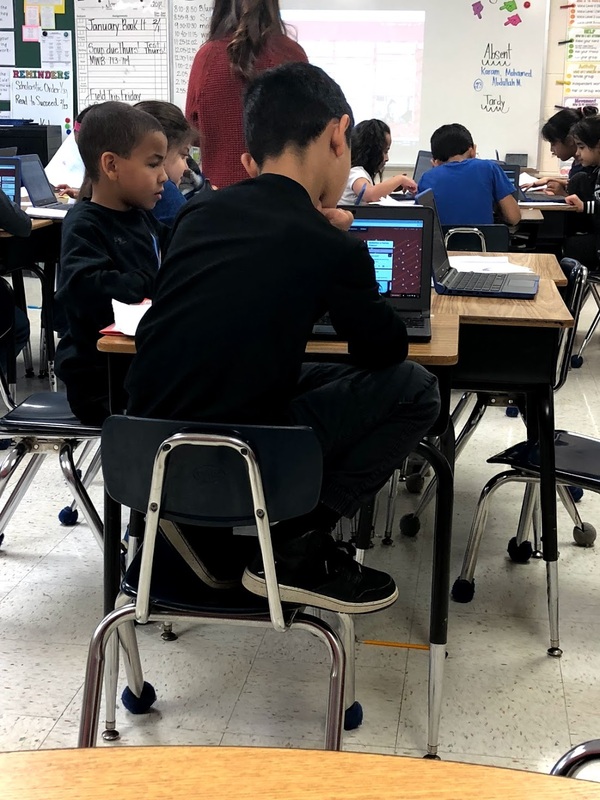 They develop strategies or mashup apps and strategies and resources that give students options and, more importantly, they pay attention to which students choose which options. When I think of effective teachers, I think of those who focus first on their students and their students' learning. I think of those who are able to rise above some of the constraints and those who are working hard to build a supportive yet challenging culture of learning in their classrooms. As an instructional coach, I'm usually asked to help teachers brainstorm ways to teach a particular lesson. They've already been reflecting on what's worked before with this group of students, what's worked before with this lesson with other groups of students, what they've learned that they want to try because it seems to make sense for this lesson. I get to help them think through strategies, figure out what resources or tools they can or need to use. I get to remind them of their own strengths. I get to help them think about what they'll do if something goes sideways. And here's something else I've observed. There are some amazingly wonderful teachers in the classroom, and yes, there are some folks who need to retire sooner rather than later or should never have gotten into the profession. We have to find different solutions for those folks because they are not interested in improving but just getting to retirement. There, however, some good teachers in the classroom that we tend to overlook them because they don't dazzle us. I worked with a group of teachers last year at a particular school that has some challenges, as is the case for every school. The one group of students that did the best with a particular grade-level lesson was not the one the principal expected, but I saw a very different relationship between that teacher and her students. Was that teacher "better" than her colleagues? In some ways, yes: the way she made clear her expectations for their behavior and the way she demanded they respect each other, her, and me. All of those teachers know their stuff. They have the content knowledge and they have the pedagogical knowledge. They are, in those respects, quality teachers. Teacher A is very creative, always coming up with nifty activities for her students that they enjoy and on which they can stay focused for a time. But she doesn't have much of a relationship with any of her students which leads to some behavior problems; her classroom management style leaves something to be desired. Teacher B doesn't think she's very creative but she welcomes suggestions and happily integrates Teacher A's nifty activities with her own spin. She has a good relationship with most of her students so fewer behavior problems and pretty good classroom management. She is quick to share with her students what she is learning and, if I'm in the classroom introducing something new, she generates some student interest with her excitement to learn, too. Teacher C is somewhat old school in her approach. She uses technology when she has to and recognizes its value. She is concerned with the quality of the character of her students and so demands mutual respect. She has few behavior problems. Like Teacher B, she is quick to tell students that she is also learning something new. Like Teacher B, she has great patience with her students as they focus on their learning. She gives them some choice and is always asking them if they've done their best. Neither Teacher B or C are particularly dazzling with energy or nifty activities, but they each have developed a culture of care and learning in their classrooms. You want to know about their test scores, don't you? The test scores are fairly equal though Teachers B and C tend to have slightly better reading scores. What makes an effective teacher? 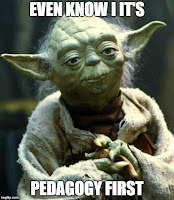 Is it pedagogy? Is it content knowledge? Is it SEL? Is it growth mindset? Is it including STEM and STEM-like activities? Is it cool tools and technology? Sure. And it's knowing yourself as a teacher and knowing your students, and then knowing how to use your specific talents and abilities and perspective to help them find and use theirs. When I'm with teachers and their students--and I'm usually with a teacher with at least a whole class period if not longer--I see effective learning in process when teachers have created a culture of learning. Students know learning is not just knowing the right answer immediately, but knowing the source of the answer and its context. Students know it's okay to be wrong and that learning is knowing why they were wrong. Students know learning is knowing how and where to find what they need to get the answer or figure it out. Students know learning comes with struggle and sometimes frustration, and that's okay. It's knowing that part of learning is learning how to learn. It's knowing that part of learning is learning how to like learning. When we speak of improving teacher effectiveness, I think it is NOT what we do to or about teachers. It is what we do FOR and WITH them, and I think administrators are often carrying the wrong load. Have individual conversations with teachers about what they see as their weaknesses and their strengths, and then listen to them to find out what they think they need for professional learning. Aggregate where you can, but there's nothing wrong with an unconference approach to professional learning. Or encourage your PL presenters/workshop leaders to find creative ways to let teachers differentiate and have choice in applying their learning. Need do an occasional audit of school and district initiatives to see where the conflicts are and to see where there are unreasonable loads or expectations; you cannot fix everything at once and by trying to do so, you create even more problems. And it may very well be that some of those "fixes" are actually constraining some potentially effective teachers from finding their ways. Need to acknowledge that the big, new shiny initiative may be great for some teachers but not have the wow factor for others, and you have to be okay with that. You need to let teachers find what best supports their strengths in building a culture of learning in their classrooms. Need to try to help them build community and parental support through a strong PTO that wants to encourage and support its teachers because their teachers want to encourage and support their kids. Need to try to pay them what their worth, and then some. What do teachers need to do? Take advantage of as many opportunities as possible, and be respectfully vocal about what you think you need to become a stronger teacher. Push for what you need to refine your strengths and mitigate or balance your weaknesses. Be willing to take some risks. Don't be too proud to ask for help and don't reject coaching without giving it a try. Remember that students have a role and responsibility in the learning process; just because a teacher taught it doesn't mean a student learned it. Be excited or at least moderately enthusiastic about learning. Try not to complain about a lack of time for collaboration and planning, but find ways to make that happen even if means rocking the boat a bit. Do as much as you can to build and promote a culture of learning in your classroom. I think we need to rethink what we mean by teacher quality, or teacher effectiveness. First, it's not about test scores because it's not a simple equation of quality input yielding quality output. Second, an effective teacher doesn't need a lot of bells and whistles but he can make those bells and whistles be effective tools for learning for all students because, third, an effective teacher knows that the best measure of his or her effectiveness is kids who know how to learn. P.S. More about "culture of learning" in my next blog post. "Form follows function" is an axiom in architectural circles. Those of us outside of that circle can try to parse its meaning, but let's just go to those who know something of Louis Sullivan. According to ThoughtCo, "Sullivan argued that a tall building's exterior design (form) should reflect the activities (functions) that take place inside the walls of the building." Whether it be the sweeping eagle in his flight, or the open apple-blossom, the toiling work-horse, the blithe swan, the branching oak, the winding stream at its base, the drifting clouds, over all the coursing sun, form ever follows function, and this is the law. Where function does not change, form does not change… . It is the pervading law of all things organic and inorganic, of all things physical and metaphysical, of all things human and all things superhuman, of all true manifestations of the head, of the heart, of the soul, that the life is recognizable in its expression, that form ever follows function. This is the law. The UX Collective article is actually quite fascinating, so go ahead and digress to explore that quick read. In the user interface context, the writer believes that today the credo might instead be "function follows human needs, form follows human behavior." And that is rather interesting. 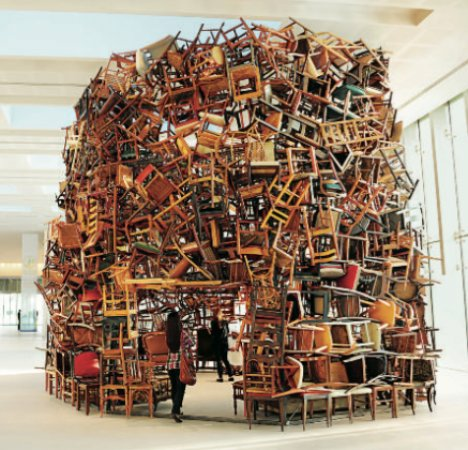 An example in this article is a chair and you might learn that designing a chair can be pretty complicated. 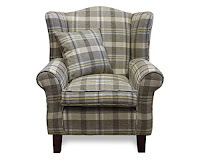 My current reading chair is a wing back armchair. It's comfortable but sometimes when I want to shift positions, I end up flinging one leg over the arm of the chair. Not good for my back; not great for the chair. 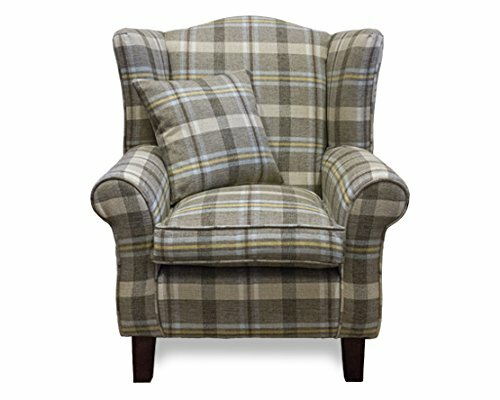 Would a recliner be better? Maybe. But I'm thinking about this human behavior thing and wondering how that might impact the design of a reading chair for someone who occasionally would rather be sitting on something that's almost a chaise. Is it the sideways thing I like or just being able to put my leg or feet up? Good question and something a designer might think about. You might be asking what on earth that has to do with office space and classrooms, but I'm guessing you're already there. Recent articles have made it clear that the open office experiment has not been successful. According to Ars Technica, open office space is actual less conducive to collaboration and productivity. Inc. reports on the same Harvard study which indicates that face-to-face interactions increased as walls went up as did email and texts. When I last worked in an office, we had walls. People would email to colleagues who were within a short walking distance. Why email rather than get up and walk? The perception of time saved in that I could send an email and rather than wait for a response, I could continue with other projects. . .and emails. At some point, the emails became ridiculous--even if they did provide a paper trail--and it was easier to get up and go to someone's cubicle or office, gathering others along the way, to finalize the conversation and decisions. And that's kind of my point. The email permitted us to get through some of the chaff to figure out the real issues and determine who really needed to be part of the conversation and then, after a 10-minute confab while leaning against someone's door frame, tidy up the details. Could we have done that in an open office? I suspect not. Concerns about others eavesdropping on the conversation and offering unwanted, unneeded, or unnecessary suggestions; or others overhearing a conversation they shouldn't be overhearing. Or, for those of us who might have been trying to do other work while the conversation is happening, too much distraction because of that conversation which might or might not be relevant to me and my work. Which is why we see so many people wearing headphones and earbuds if they're working in that open space. So when we think about the function of an office area or the form of human behavior in that particular office space for that particular organization and type of work, we can imagine how that office space might be organized differently depending on the work. Does that apply to classrooms? After all, kids are in a classroom to learn. How complex is that after all? Ahhh, well, let's think about that. 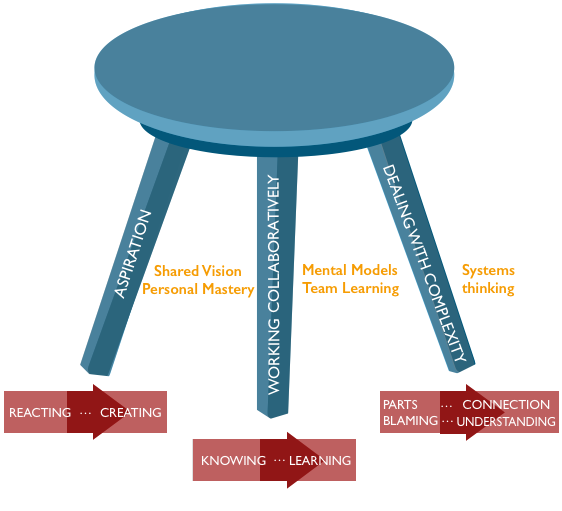 What does learning look like? I'm not going to bash the "factory model of education" that has been prevalent for the past 100 years, which is where so many like to go. That's a tired trope. While I work with some teachers who have desks in their classrooms, sometimes those desks are grouped, sometimes they're in rows, sometimes they're in a circle or rectangle. It depends on how much space they have and what's happening in class that day, though it also depends on the teacher and how willing he or she is try something different. I often ask teachers what they think a particular lesson is going to sound like and look like. I want to know what they see in their mind's eye and what they imagine they would like to hear; I want to them to think about what that learning experience could look like and sound like. Some teachers can't help wanting Voice Level 0 or Voice Level 1 but I suspect that's because they're more comfortable with quiet than noise. Some teachers have that eye-widening recognition of how they're constraining kids because of the vision they have for what learning should look like and be. Is learning always hushed conversation and silent reading? Is learning always tidy work spaces? No, no, and no. So learning could be messy and noisy. It could be quiet and reflective. It depends on the learning. 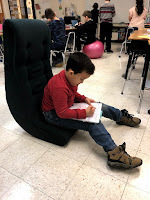 I worked with a school that tried open classroom space for elementary students. The concept was that teachers would have a large space for team teaching and a smaller walled space for small group work, targeted student work, etc. The first challenge was the team teaching and when that didn't work quite as well as hoped, they found ways to create walls. Team teaching worked well in a couple of grades because the teachers figured it out and were okay with controlled chaos. The students adjusted for their classes. The open space for library work and some of the specials were less successful; they are still sorting out solutions. Does learning really ramp up when form follows function? Maybe. 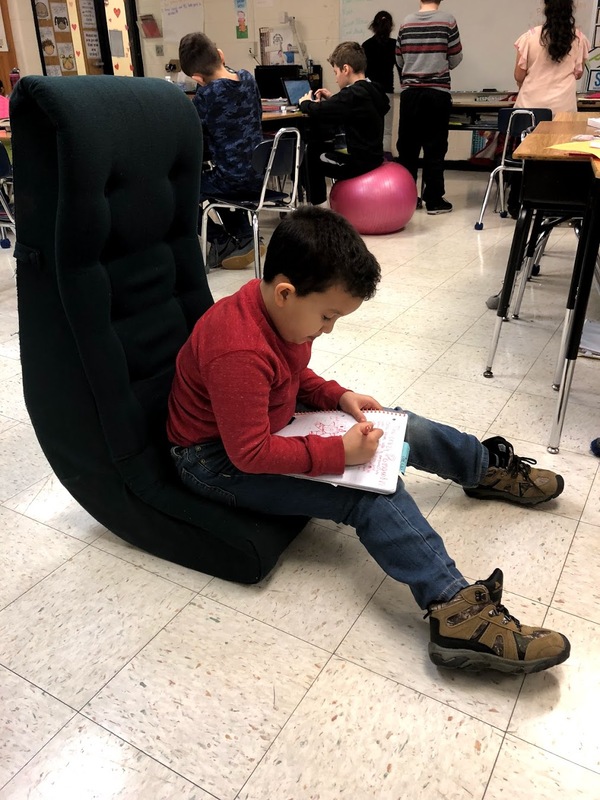 I know a first grade teacher who gave her students choice of where and how to sit when they were reading their books. I was often amused by how students chose to sprawl or sit, but they were focused on their books. Of course, she's not the only one to give students options of choosing to stand or sit and where to sit or where to stretch out. 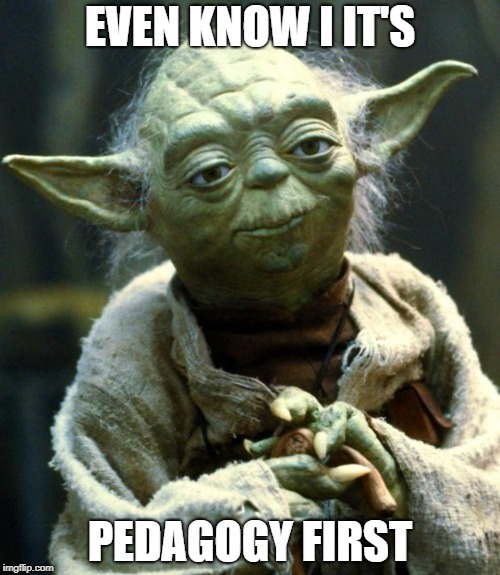 I've said it before and I'll say it again: pedagogy first. Cool furniture, nifty rugs and wall hangings, far out lighting, bean bag chairs, and chimes. It's all for naught if your teaching is below par. I think it's great that school architects understand how students learn--and I agree. I think some of the findings in this article are spot on. But they also have to understand that what works in one second grade classroom might not work as well in another and it might not work at all in a sixth grade classroom. There are many influencing factors and many of them are not the same across grade levels. Classroom dynamics between teacher and students. This group of students is different from last year's and next year's will be different from this group. Curricular changes. District initiatives. Parental involvement. Community involvement. Just as I believe we shouldn't generalize how office space should work across businesses, I don't think we should generalize how classroom space can help students in their learning. Just as I believe we shouldn't generalize professional learning experiences and just as I don't believe we should generalize all student learning experiences, I don't think we can generalize how classroom space impacts student learning. I think there are some fundamentals for classroom space: enough accessible outlets, options for teachers to store laptops or tablets so students can reach them as well, options for creating spaces so students can work individually or collaboratively, accessible white boards or smart boards for whole class instruction but also for students to use as they're figuring out their learning, options for media and technology so students can learn individually or collaboratively. The ideal, I think, is for teachers to be able to mix and match what they need for their classroom that's appropriate for their grade levels/content areas, and for how they wants to see and hear learning in their classrooms. I know there is never enough wall space in a classroom and schools use hall space in various ways. I love the idea of grade level hallway space for posting student work (or QR codes that link to student work) as well as common anchor charts or whatever else they might need. That means kids need to be able to leave a classroom on occasion, which I do see in many schools. And then wall space in the classrooms could include a couple of smaller student-level white board for working out solutions to any kind of problem or learning task. I also know that teachers like to set up their classrooms in specific ways based on their resources, what and how they teach, and the space they have available. I understand that and believe it makes sense. However, let's assume that function follows human needs, form follows human behavior. 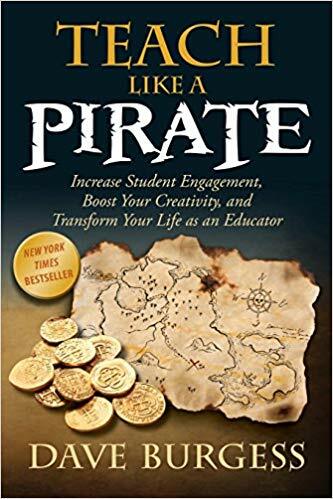 I wonder what could happen if teachers paid close attention to the ways students interacted with the resources in the room, how students tried to make adjustments based on their individual instincts, and what students asked permission to do. I wonder how teachers might opt to change the room to reflect how students were asking to be able to learn. I also wonder how teachers might reflect on how they teach and make adjustments to their pedagogy to reflect how students were asking to be able to learn. Function follows human needs, form follows human behavior. Apparently on multiple levels. The myth of being "bad at math"
Sketchnoting: Purposeful Doodling? At least!